From Goodreads ~ An indispensable and encouraging guide for every woman looking for a fun, easy and economical route to fitness & health. Women’s fitness pioneer Kathrine Switzer has been on her feet for 53 years. She knows how running or walking is the fastest, easiest and least expensive road to fitness for women of any age. For women over forty in particular, it’s vital to fit an exercise regimen into their busy lives, and ensure they can stay active and healthy for many years to come. No matter how inexperienced or old you are, Switzer will guide and ease you into a new exercise schedule, showing how this time you give yourself will be the best part of your day...and your future life. Recommendations for shoes, clothing, injury prevention, nutrition, motivation and finding the time in your life will keep you exercising safely and comfortably. For women over forty, Kathrine Switzer's expert running and walking programs are specifically designed for you, enabling you to keep healthy and enjoying life to the fullest for decades to come. I enjoy walking and would some day love to be a runner. It's been so cold and icy this winter that I haven't been outside much ... plus I've been lazy and tired (so haven't gone to the gym). Hopefully that will change once the weather warms up. 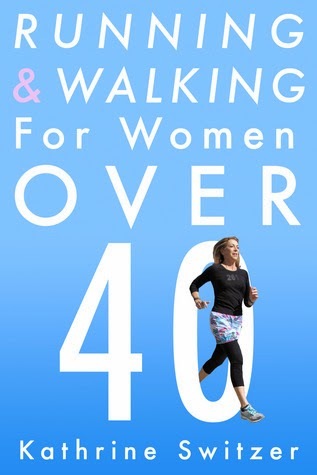 This is a great book for female beginners who are age 40 and up who want to start walking and/or running. Getting out the door - determining your fitness level, setting goals, breathing, etc. Along with information, there are also the author's personal notes of what has worked and hasn't work for her ... she has been running for 53 years and has run 39 marathons! 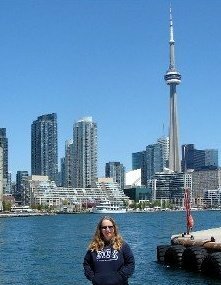 I found the colourful pictures of female walkers and runners who are 40+ and their stories motivational. 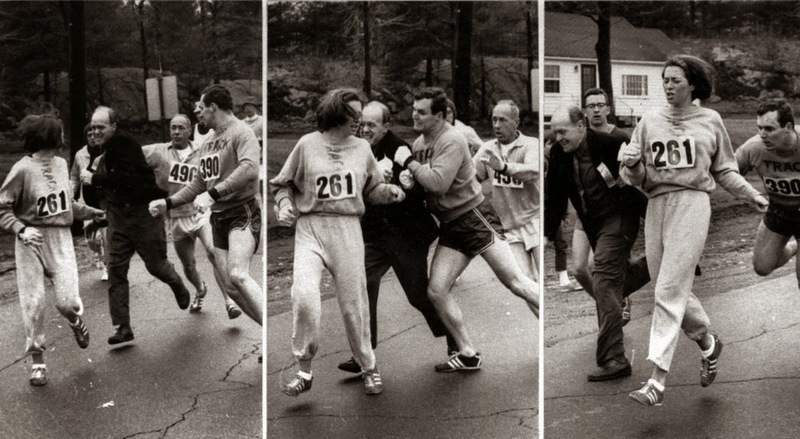 The author was the first woman to run the Boston Marathon (in 1967) as a numbered entry. Race official Jock Semple attempted to physically remove her from the race. Her boyfriend, Tom Miller, who was running with her, shoved Semple aside and sent him flying. In 1972, women were welcome to run the Boston Marathon officially for the first time ever. Does anyone actually take up running after 40? I can't imagine there are many. According the to book, yes. Surprisingly, I did. For my 55th birthday I ran (well did a little walking, as well) a 5K. I had an injury shortly after and it has taken all this time to get back to it. I was never a runner in my youth, but I started gradually about 6 months before my birthday and just kept at it.